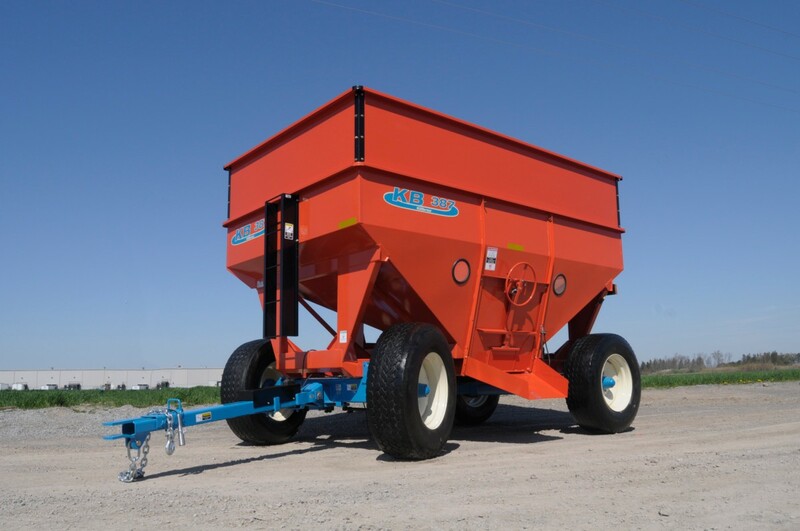 If you're looking for a dependable gravity grain wagon, look no further than Killbros. 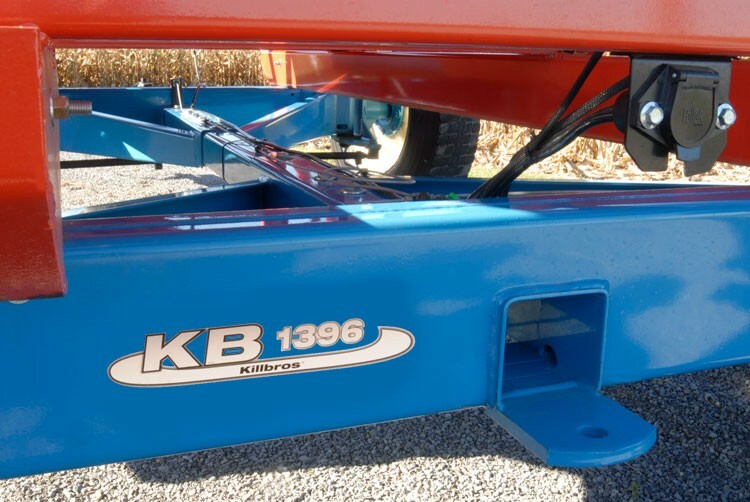 The Killbros 357, 387 and 397 wagons offer solid and durable construction giving any operation reliable performance that lasts, and are available with durable Killbros running gears to match your capacity. 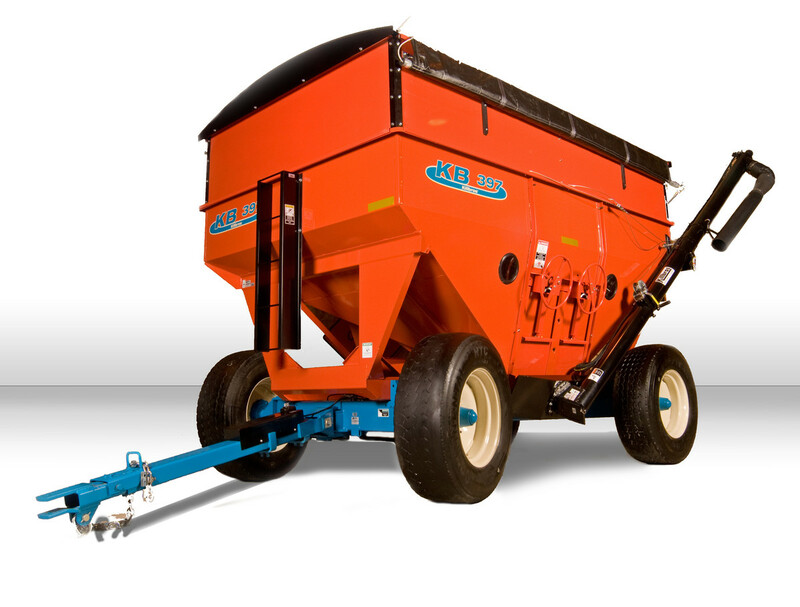 Model 357 can be equipped with 15" or 20" side extensions to achieve capacities of 205, 270 or 300 bushels. Models 387 and 397 can be equipped with 15", 20" or 24" side extensions to acheieve capacities of 255, 340, 375 or 400 bushels. Models 357 and 387 feature a single compartment. 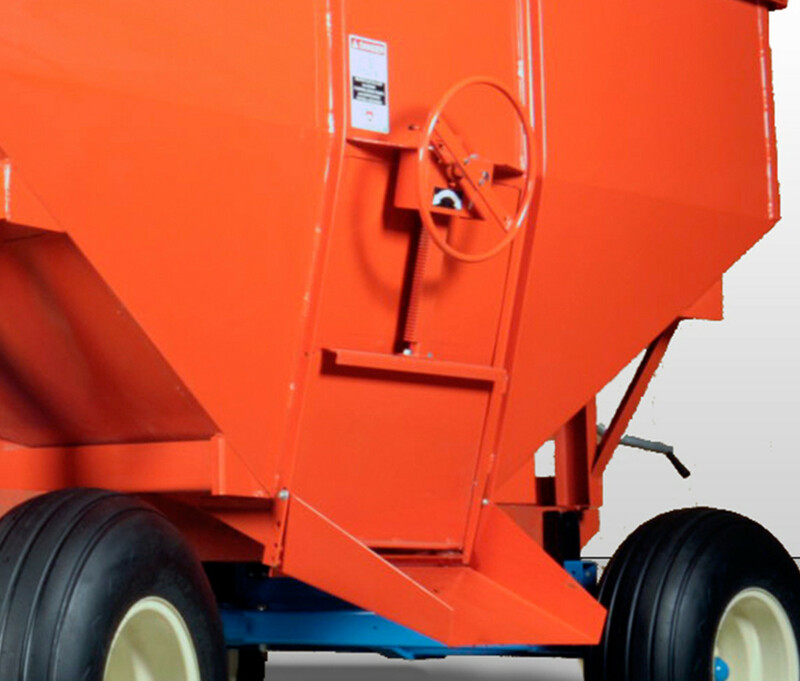 Model 397 features dual compartments for bulk handling versatility. 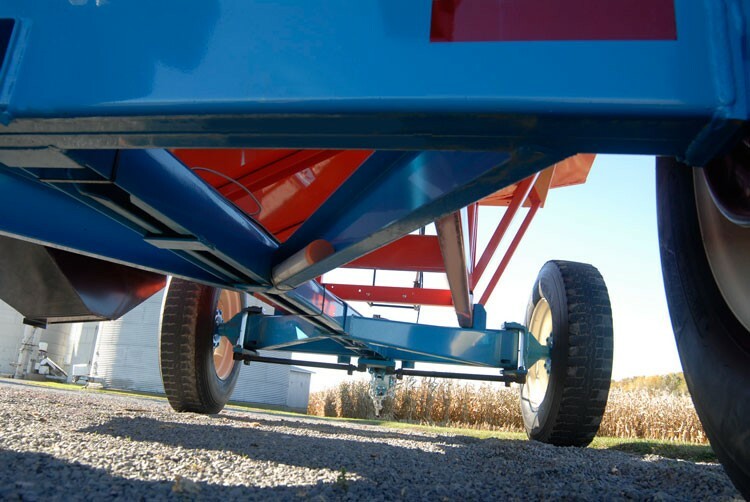 Standard ladder makes checking hopper contents quick and easy. Viewing windows on model 387 and 397 for convenient monitoring of the wagon contents. Boxes are available individually for mounting to your own truck or other use. Wheel-operated unloading door with rack and pinion design offers smooth operation and longer life. Model 357 features a 26" wide unloading door. Models 387 and 397 feature a 36" wide unloading door. 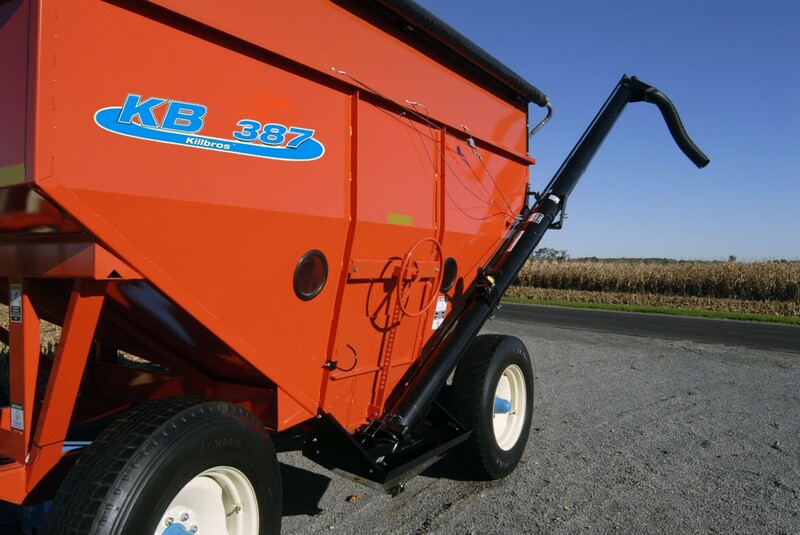 Model 387 features a 12" sampling door for quick and easy unloading of even high-moisture grain. Model 397 features two wheel-operated unloading doors for unloading each compartment seperately. Running gears available in 8-, 10-, 12- and 13-ton capacities. 13-ton running gears can be equipped with brakes. 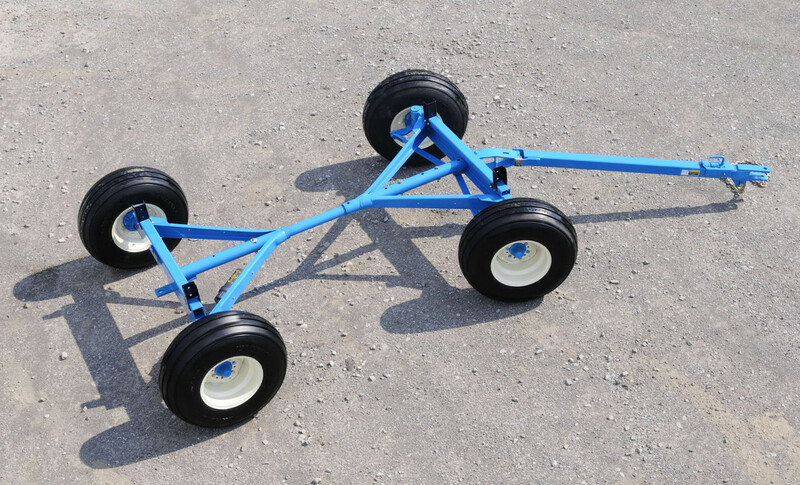 Heavy-duty hubs provide a rugged and durable farm wagon. 6-bolt on 8- and 10-ton models and 8-bolt on 12- and 13-ton models. Adjustable quick-hitch tongue allows for easy one-person hookup. Rear hitch for pulling wagons in tandem. Running gears are available individually with adjustable length frame and stake pockets. Stake pockets may be set at either 38" or 42" inside widths.